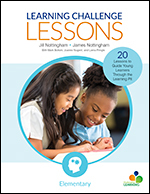 Twenty compelling Learning Challenge lessons provide teachers with everything needed to facilitate thoughtful, rigorous, dialogue-driven challenges for elementary school students around topics of current importance. This webinar will encourage school leaders and blended learning coaches to think about what happens after a training. Catlin Tucker will provide an overview of a blended learning coaching cycle designed to support teachers from goal setting to implementation to reflection. Can brilliant teaching boil down to just five practices? Yes! 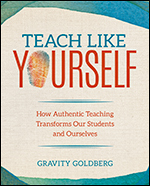 In Teach Like Yourself, Gravity Goldberg applies ideas from psychology, education, and science to name five key practices involving core beliefs, practice, relationships, personal growth, and one's whole self. "When I Teach Like Myself…"
This book provides the opportunity to do inquiry as you read about it. 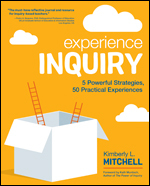 Learn what inquiry-based instruction looks like in practice through five key strategies. Meet Ariel and learn more about opportunities to Publish with Corwin.